This crochet afghan designed with the gorgeous Caron Cakes yarn will take a permanent place near my fireplace. 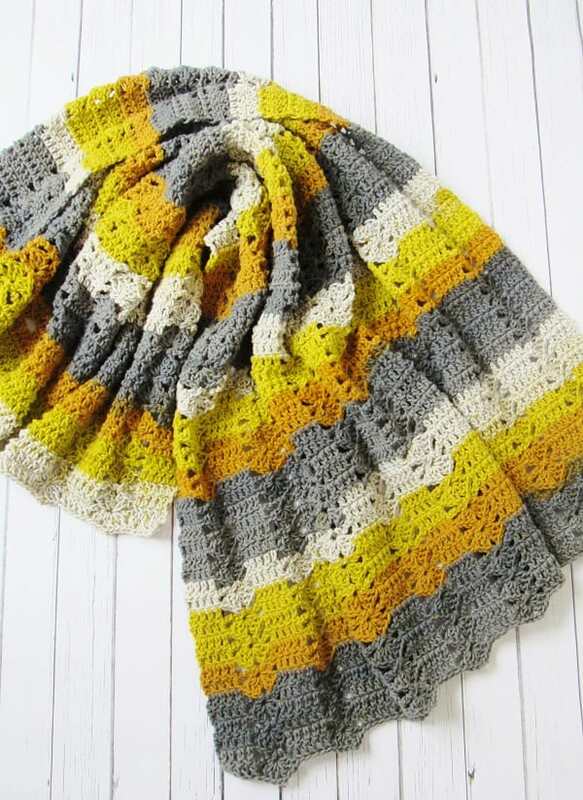 I love the colors on this blanket. 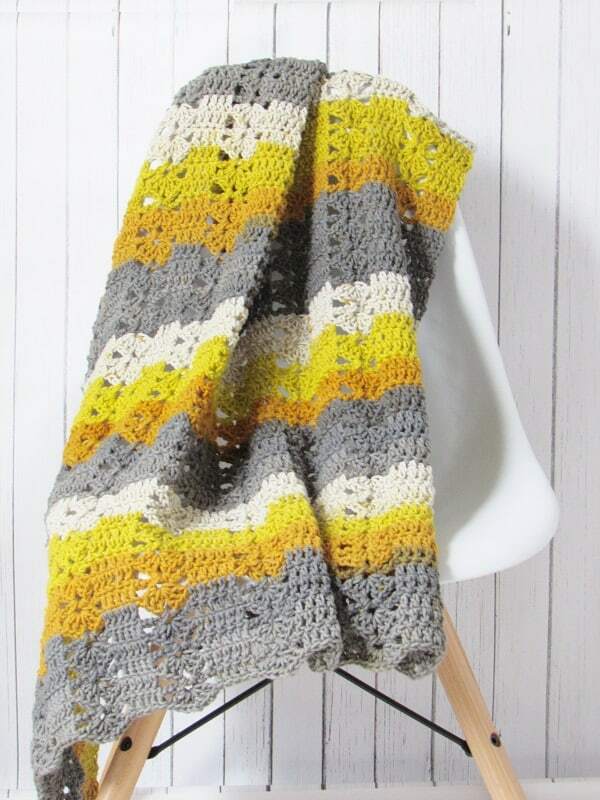 This is my fourth crochet afghan pattern and I am super excited at how fast the collection is growing, yay! 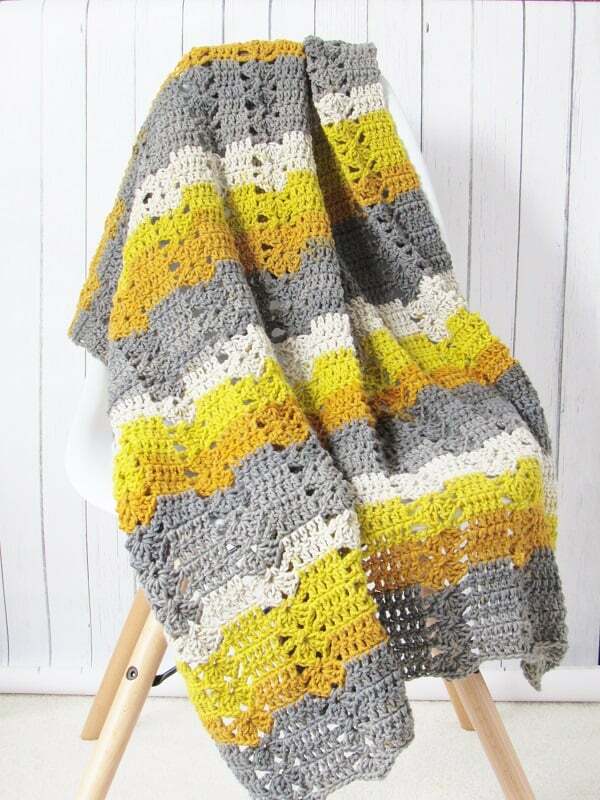 Here is a little secret, I want to publish a book of 100 crochet afghans. A girl can dream, right? 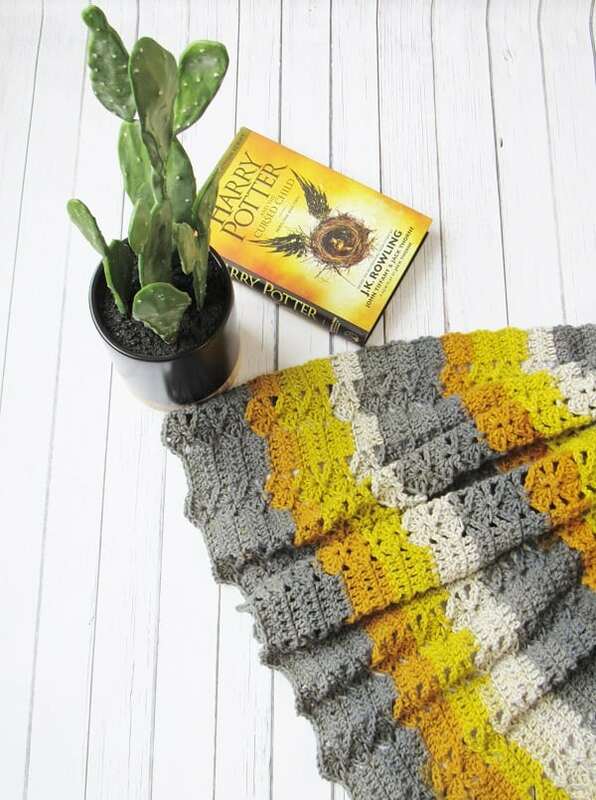 I initially thought of designing a textured crochet blanket but then thought of keeping it minimal and letting the beauty of the yarn shine through. I hope you like the pattern. Most of the pictures of this afghan were taken on a cloudy day, so I am a little worried about the outcome. Ever since we moved into the new home, I have been chasing the light. I haven’t been able to zero in on the correct spot for taking pictures. Add to that, the cloudy weather and I feel like I will end up with crappy pictures not fit for my blog every time. 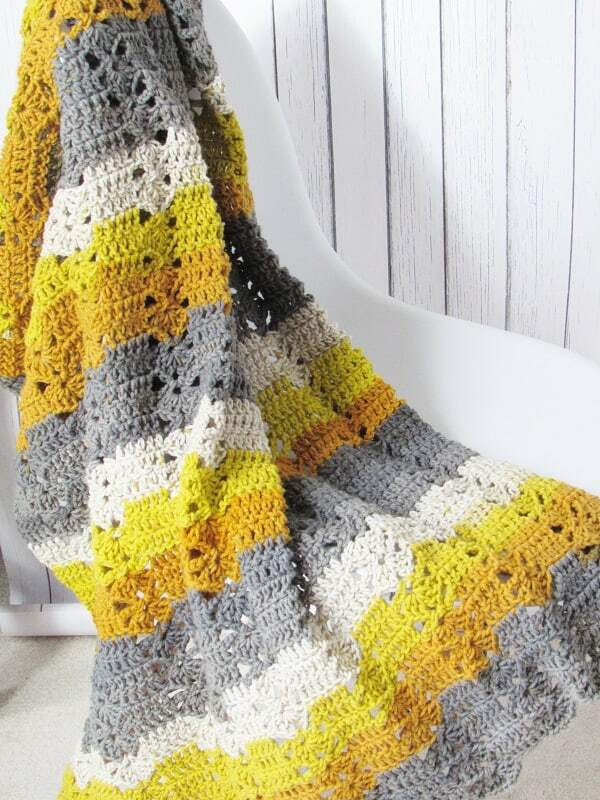 I used 2 skeins of Caron Big Cakes in color Honey Glazed for this crochet throw. 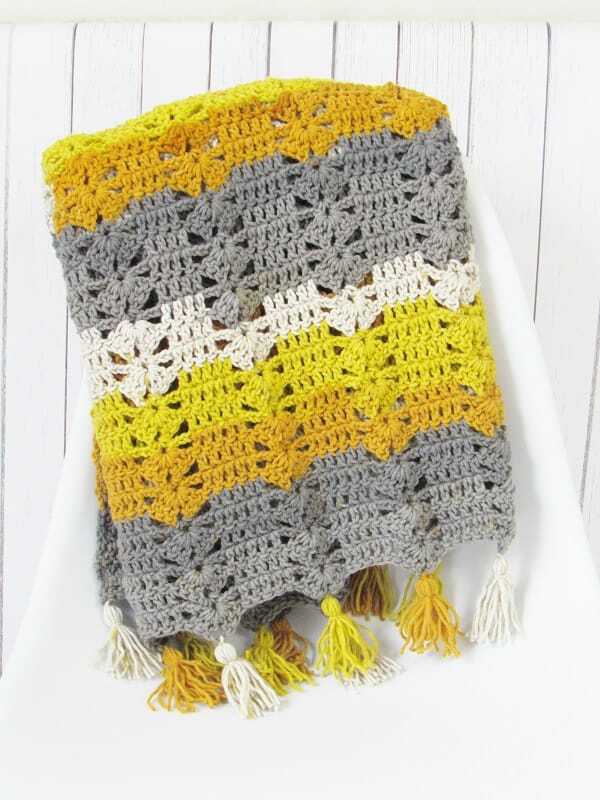 I am sure this easy crochet afghan will look gorgeous in other colors too. The warm colors on this colorway flow seamlessly making it look all the more toasty and comfortable. 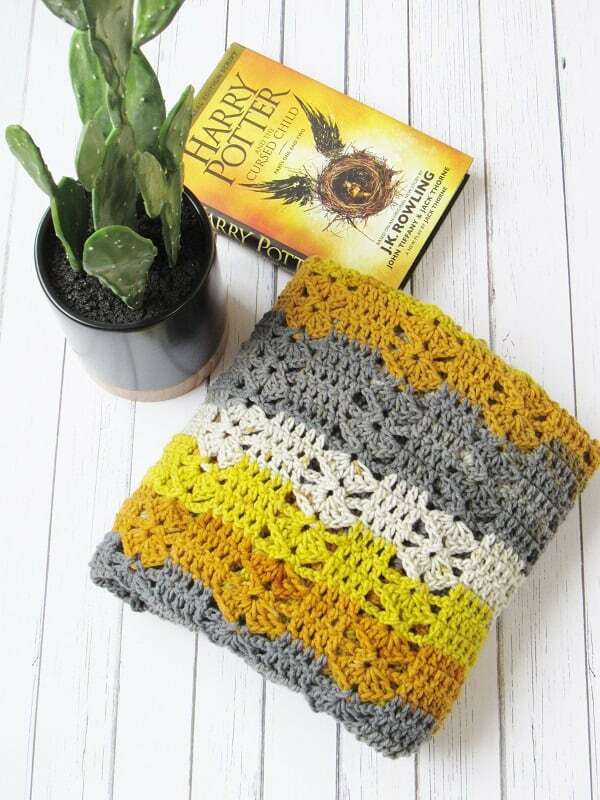 The perfect blend of colors that would make you want to curl up and read a book. I was never big on variegated yarn until the Caron Cakes came along. They completely bowled me over with their beautiful blend of colors. If you ever want to come up with new color combinations, you can draw inspiration from the colors of this yarn. That said, I think this design will look great in a single color as well. So make it in a color that matches your decor. You can purchase an Ad-free PDF for just $2.50, add to cart here. The pattern will be emailed to you. You can pin it for later here. 36 inches wide and 45 inches long not including the tassels. 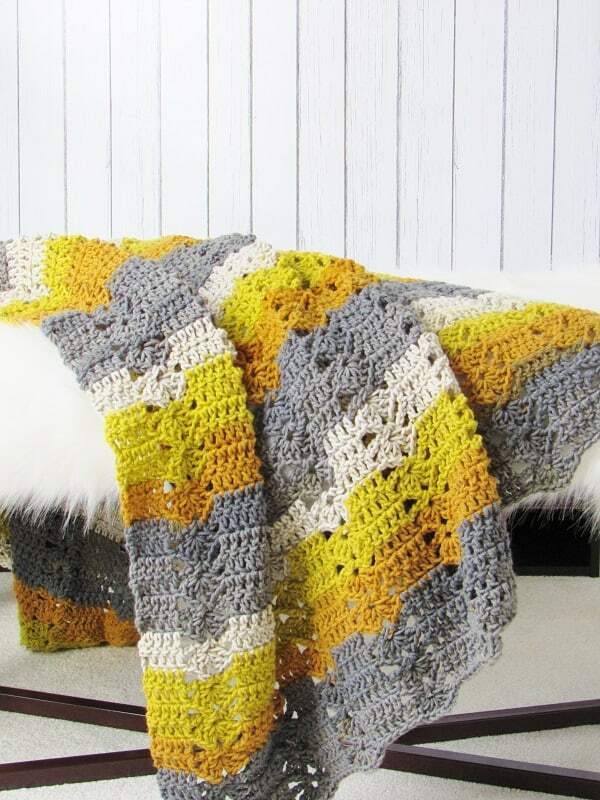 Patten gives you tips on how to make it wider but remember that it will take you more yarn if you make your afghan bigger. It took me 2 full Caron Big Cakes to make the Afghan and the tassels attached to it. Very few yards were left when I finished. If you are substituting with any other yarn, you will need around 1200 yards. 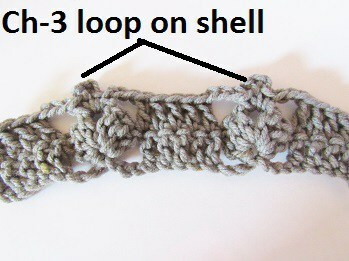 Shell: (3dc, ch 2, 3 dc) worked into the same chain or stitch. Ch 128. 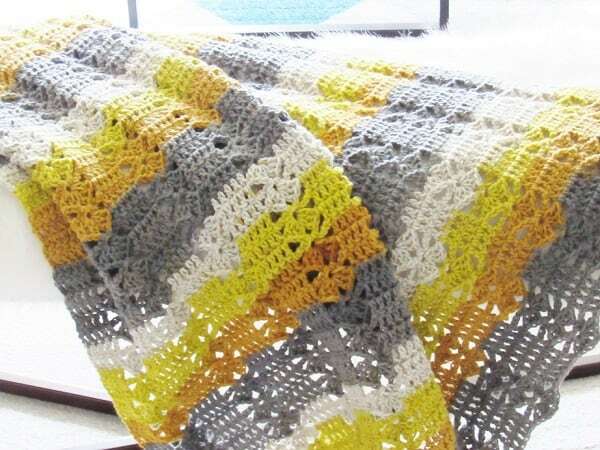 If you want your Afghan to be wider, add chains in multiples of 12+ 8. Every 12 chains will add about 3 3/4 inches to the width of the Afghan. Note: I found that my two cakes of yarn did not start with the same color. So to avoid getting a big patch of gray, I cut that off and started with the next color to maintain the sequence. I am just letting you know in case you feel stumped when you start your second skein. Repeat rows 2 and 3 until your Afghan is 45 inches long and you end in a repeat of the shell row. Fasten off. Using the same color as the very first row, sl st to the corner of the afghan on the foundation chain side, ch 3, 1 dc in next 4 dc, 1 shell in the same ch as the next shell as shown, 1 dc in next 5 dc), repeat from * to end. Fasten off. I made the tassels in all the colors of the cake and mixed them up. 5. 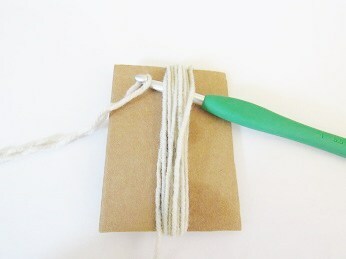 Take a piece of cardboard that is 3 inches wide and wrap the yarn around it about 10 times. Pull an 8-inch strand of yarn under the windings and make a couple of tight knots at the top. 6. 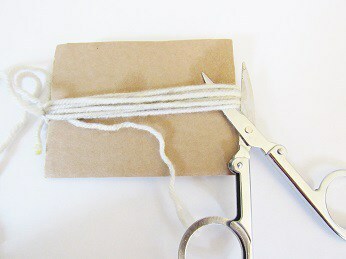 Cut the yarn along the other end of the cardboard using a sharp pair of scissors. 7. 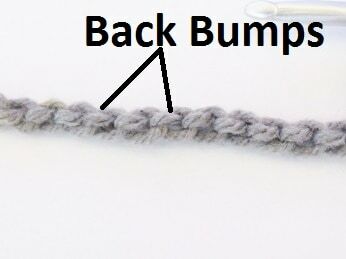 Using an 8-inch strand of yarn make a knot about 1/2 inch below the top knot. Leave the 2 strands from the top knot for attaching to the Afghan, then trim and level the rest of the strands. Weave in any tails left. 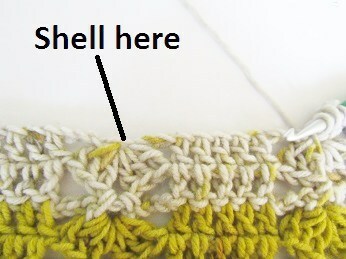 Tie the tassels to each corner of the Afghan and the ch-2 spaces of each shell. 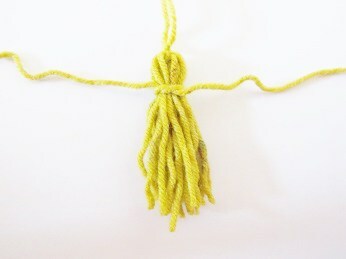 Pull the remaining strands through the tassel and trim to level. If you love Caron Cakes projects, check out my Ocean Waves Scarf here and my Kaleidoscope Infinity Scarf here. I love your afghan it’s beautiful. 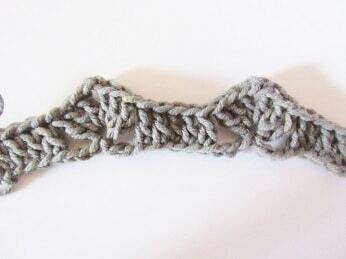 Ty for the pattern. Thank you so much, Janice. I am happy you like it. Absolutely gorgeous. The colors are perfect and so cheerful. Thank you for sharing this pattern. Your work is just beautiful. Hi Marie, thank you so much. I am delighted you like the pattern. Question on adding shells to foundation chain. The beginning * and ( is not shown. Is something missing? You can chain any multiple of 12+ 8.